Today I have a visitor to the blog, Jeanna Ellsworth Lake. I've blogged about a few of her books previously - Mr Darcy's Promise and Refine Like Silver. Jeanna is currently working on the 'Hope' series, which have a theme of finding hope where there appears to be none. The first book, 'Hope for Mr Darcy' is out now, and will be followed by 'Hope for Fitzwilliam' and 'Hope for Georgiana' later this year. 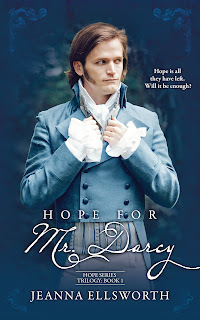 Elizabeth from 'Hope for Mr Darcy' has dropped by for a chat and there's a chance to win a copy of the book too. Read on for more details. You may have heard of the 'Holidays with Jane' series of anthologies - each book contains six modern versions of Jane Austen's major novels, each story is written by a different author and they are tied together by a theme, so the first book is Christmas Cheer, the second Spring Fever, third is Trick or Sweet and this latest book is a summer-themed book. I was really excited to see that the latest 'Holidays with Jane' was coming out this month and so I invited one of the authors, Jessica Grey, along to Babblings of a Bookworm to introduce us to the book with a guest post. Jessica brings along a book giveaway too. Read on for more details! Congratulations, ladies! I will be in touch with you. Thank you so much to everybody who commented on the posts, and huge thanks to Jane Odiwe for the guest post and giveaway! You were selected as the winner. I have your contact details form a previous giveaway and I will be in touch. Thank you so much to everybody who commented on the blog posts, and of course, huge thanks to Joana Starnes for visiting and providing a giveaway! A while ago, Sophie Turner dropped in with a guest post relating to treatment of some of the minor characters in her book 'A Change of Legacies'. You can read the guest post here. I've been meaning to share my review of the book with you and that's what I'm bringing you today. This is book 2 in the ‘Constant Love’ series. The first book in the series, ‘A Constant Love’, is a sequel to Jane Austen’s ‘Pride & Prejudice’ and ‘A Change of Legacies’ picks up not long after the end of the previous book. Since this book is a sequel, there may be some spoilers for the first book of the series, but I have tried to keep things as spoiler free as possible. You can see my review of the first book here. In book 1 we saw more of Kitty and Georgiana, as those two ladies were launched into society by the new Mrs Darcy. I was particularly keen to catch up with Kitty, because she was just lovely. I was less fond of Georgiana and the first part of ‘A Change of Legacies’ particularly focuses on her. Since this is a family saga-type story, I was expecting to follow the various characters through the next stages of their lives and instead this book took a different turn. Instead of presenting just the events we get some speculation on what could have happened if past events had unfolded differently. Georgiana is happy in her life, but she has begun to have dreams featuring George Wickham; specifically, she has recurring nightmares that instead of confessing her elopement plan to her brother while she was at Ramsgate, instead she allowed Wickham to convince her to elope. We all know from ‘Pride & Prejudice that Wickham’s chief object was unquestionably Georgiana’s fortune and so, once the knot is tied he would have no need to be kind to her - in Georgiana’s dreams, he is not kind to her at all – she is merely a captive, held while Wickham tries to negotiate for her dowry. This alternate dream storyline provides an interesting reminder of the rights of women in the period (i.e. very limited). Personally, I think that if Wickham had succeeded in eloping with Georgiana he’d have been careful to keep the charm up, show her off in public and try and force Darcy to accept him through gritted teeth as a brother and an equal, but this is Georgiana’s subconscious at play, not mine! Although this is generally a saga-style story and therefore not filled with overly-dramatic events, the dream events are quite dramatic and these, coupled with another circumstance (I’m trying not to spoil anything here, hence the vagueness!) led me to be concerned enough about the fate of one of the characters that I had to peep ahead to check that the book wouldn’t be taking a sinister turn! 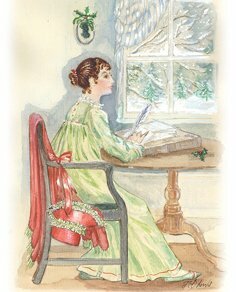 Georgiana confides in Elizabeth of the dreams, resulting in Elizabeth having dreams of her own where she imagines the difference a successful elopement for Georgiana might have had on her past with Darcy. 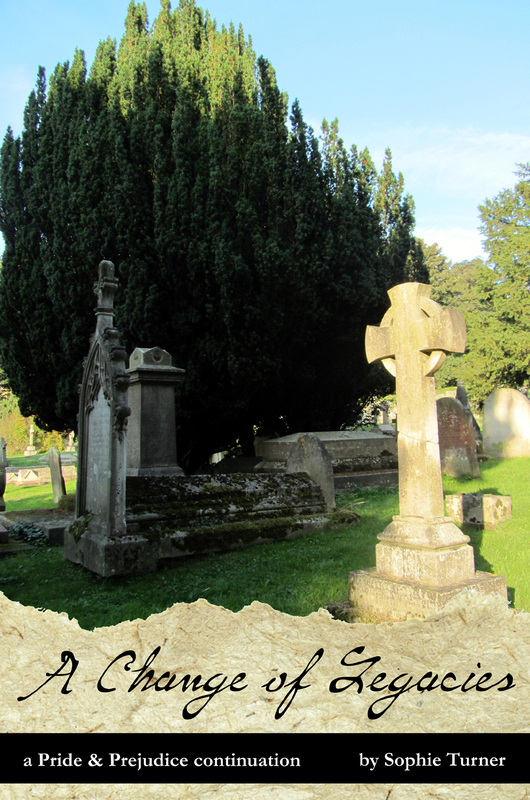 His words cut through Mary painfully, for she recognised in them the way she had thought of herself all these years. Poor Mary! But although it’s unpleasant to look at yourself and find something wanting, realising that is an important step in changing and Mary continues to become a more pleasant companion. It’s good to see her come into flower. “Fitzwilliam Darcy, sometimes I regret that I taught you to teaze so well,” she said. If you like a saga-style story and enjoyed the first book in the series I should think you’d enjoy this read too. At the end of the previous book there were some story threads which hadn’t been resolved, but this is not the case with this book so there aren’t many leads on where the story will head in the next instalment, but when the time comes I’ll be interested to see where Sophie Turner will take her characters next. I’d rate this as a 4 star read. *I was provided with an e-book of this story by the author for my honest review. This week I have been joined by Jane Odiwe, author of 'Jane Austen Lives Again', who gave us a guest post and excerpt from the book. 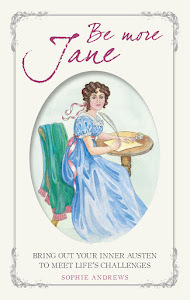 Jane is also offering an international paperback giveaway to two lucky readers here. You can gain one entry to the giveaway by commenting on Jane's post, and another by posting on this review post. Unfortunately, due to the financial costs of her medical treatment being far higher than Cassandra could have anticipated, Jane is forced to get a job and finds a placement with a family. She believes at first that she has been employed as a governess to five small girls, however, upon her arrival at the house she becomes acquainted with the truth, which is that all her ‘charges’ are in fact, grown women, and some of them are (in appearance at least) older than Jane! Jane’s task is to help direct them. There are 6 offspring in all; the elder three, Will, Alice and Mae, are from Lord Milton’s first marriage, and the younger three, Beth, Emily and Cora are from his second marriage, to the very attractive Lady Milton. Jane is only employed to assist Lady Milton in managing the girls. Lady Milton is very keen to marry them off if possible, but she is somewhat despairing of the elder two girls at least; Alice is stuck in the fashions of years ago and Mae is hostile towards her stepmother. Lady Milton’s own daughters are bringing her no comfort in their unmanageability either. Knowing that there were five sisters immediately sent my mind towards similarities with the sisters Bennet, but this is not the case; instead, when we get to know the girls it’s easy to see that they all resemble Austen characters, but not all from the same novel. You can see characters from at least four of Austen’s novels in these girls, and a nod to a fifth. It’s extremely entertaining to see events played out that echo events from Austen’s novels, and it’s also fun to see that sometimes characters play different roles, so the same character can be in essentials a character from ‘Persuasion’ but also play a part that happened in ‘Emma’, for example. I would add a word of caution here, because while it’s entertaining for an Austen aficionado to look for nods to Austen’s other works, if you are unfamiliar with them the large cast of characters may prove really confusing, because there are many characters who are introduced close together, and it might be hard to remember the state of relations between them all. The only downside of this book for me is that, with such a large cast of characters, so many of whom are destined to end up together, none of the romances have a lot of page time individually. I was particularly interested in Alice’s story, even more than Jane’s. These stories were more fleshed out than the others, some of which were only briefly touched on. I also felt that the pace of the story increased towards the end. However, conversely, I enjoyed how many nods there were to other Austen books, and took great pleasure in spotting each of the story threads. I thoroughly enjoyed this book. It was excellently entertaining, and I’d rate it as a 4½ star read. I’d recommend it to any Austen fan, but particularly those who also enjoy stories set in the early part of the twentieth century. *I received an ebook of this story from the author for my honest review. 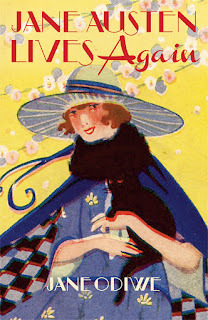 As I said at the beginning of the post, Jane Odiwe is offering to give away a paperback copy of 'Jane Austen Lives Again' to two readers here. To enter, just leave a comment on the giveaway post by the end of the day on Monday 20 June, and for a bonus entry, comment on this post too. This giveaway is open internationally. Please leave a way for me to contact you in case you're the winner, so you don't miss out on your prize. Now let me hand over to Jane Odiwe for a post about why she enjoys writing about Jane Austen as a character. Jane is very kindly offering a paperback giveaway to two commenters here - read on for more details! 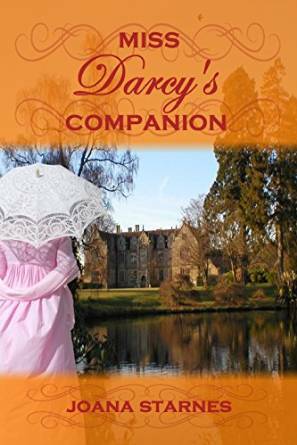 Earlier this week Joana Starnes joined me with a guest post and excerpt of her new book, ‘Miss Darcy’s Companion’ plus a giveaway of an e-book of ‘Miss Darcy’s Companion’ to a commenter on the post. I was so fortunate as to read the book this week. Read on to see what I thought of ‘Miss Darcy’s Companion’, and for the opportunity to gain a bonus entry to the e-book giveaway. 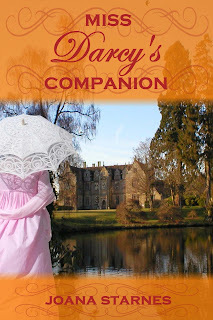 I have a visitor to the blog today - Joana Starnes is joining me with a guest post and a giveaway of her latest book, 'Miss Darcy's Companion'. I'll share the blurb with you and then hand over to Joana for her post. 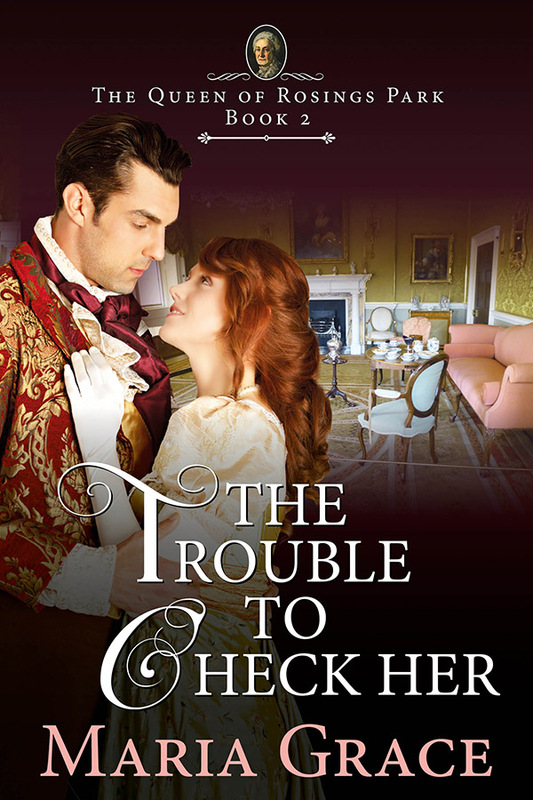 A while ago Maria Grace visited Babblings of a Bookworm with a guest post and a really lovely excerpt of 'The Trouble to Check Her', a book which focuses on Lydia Bennet. Read on to see what I thought of the book. 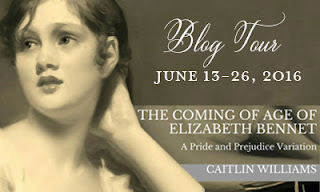 Today the blog tour for 'The Elizabeth Papers' drops by for my review. 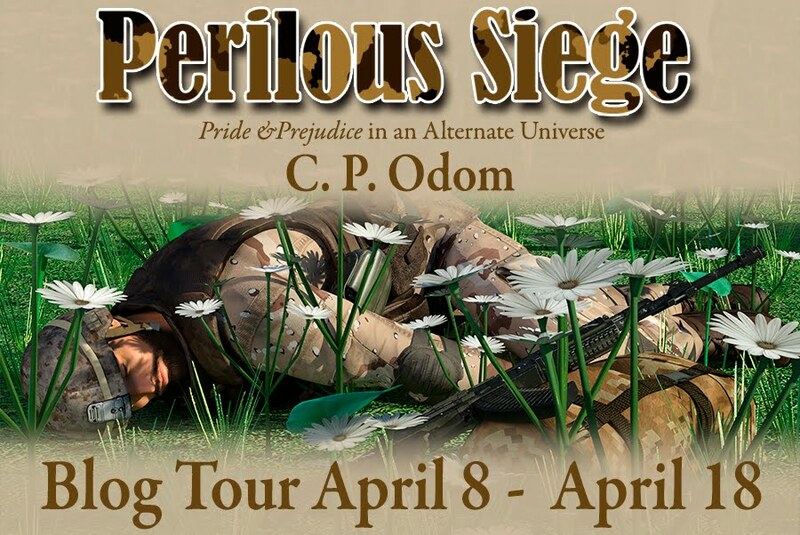 Read on to see what I thought of the book and to find out more about the stops on the blog tour.